Here at EpicOrange we have 15+ years experience in delivering bespoke, high quality branded products. 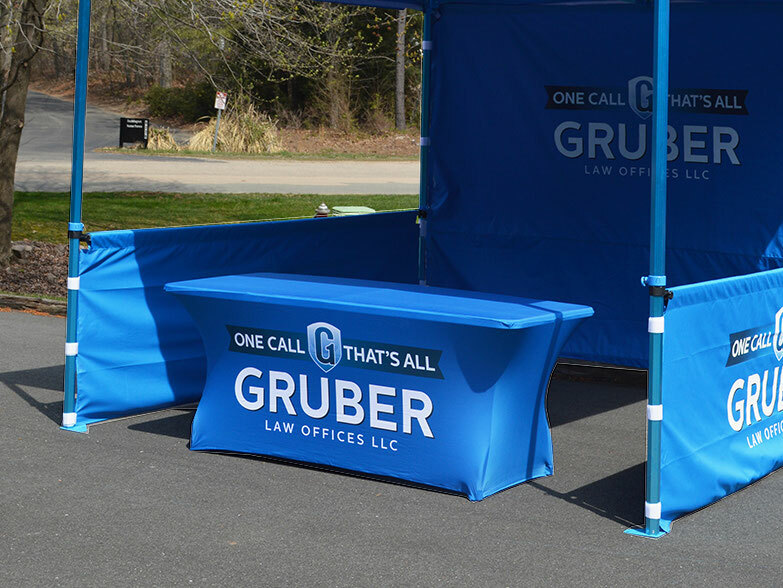 No branded product sets of a display or conference table quite like a professionally printed Tablecloth! 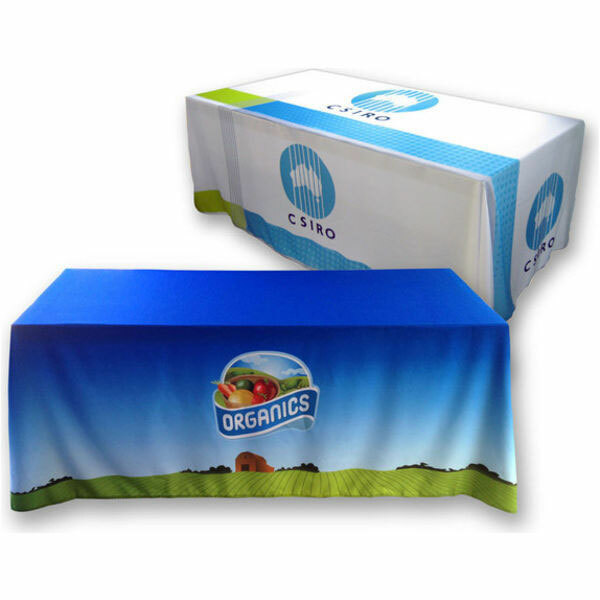 When maximum impact and/or full colour logo's & graphics are required you simply cannot beat a fully custom printed tablecloth! Full colour CMYK printing in full coverage let you bring creativity to your design. Printed on 210gsm knitted polyester cloth. Pantone matching is achievable to any cloth colour required (expect metallic). Fire rated cloth size: 1.78m x 2.74m to fit a standard 6ft table. Can be bespoke made up to 3m wide! No Minimum order, delivery in 4-5 working days! Available in Linen, Wipe Down, Oil Cloth or Waterproof. 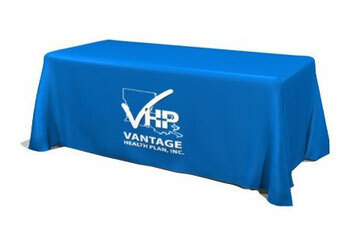 Standard cloth size: 1.78m x 2.74m to fit standard 6ft table. Other sizes are also available. 22 colours to choose from, Vinyl printed in spot colours. 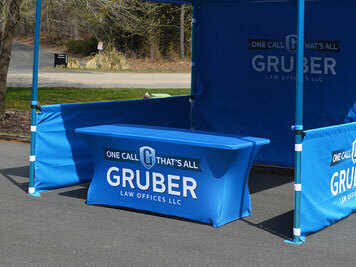 Standard print area: 1.5m x 0.5m, typically to front drop. Minimum order just 2 units in 2-4 working days!